The silent auction for the 10th Annual Harvest Luncheon (Nov 2- tickets on sale now) is really starting come along, and I wanted to tell you about the exciting items we already have that you will be able to bid on. 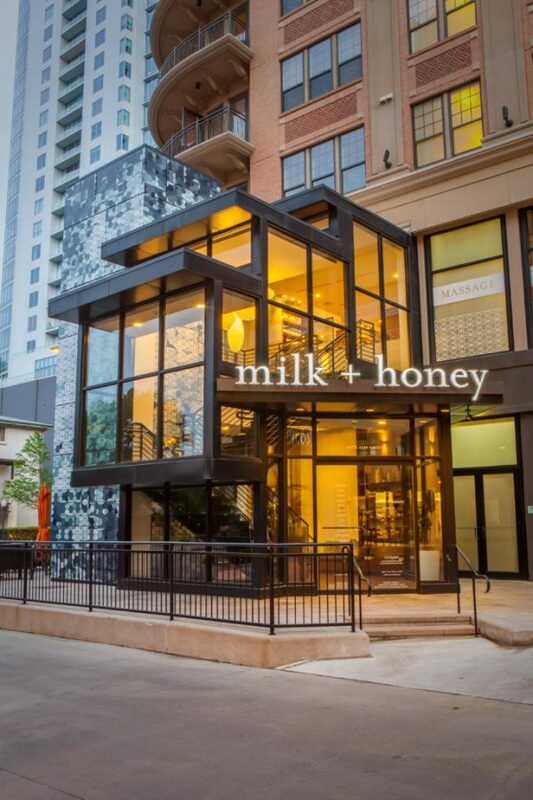 From 4 tickets to the Houston Zoo, to a basket of luxurious, high quality hair products from one of Texas’s most popular spas Milk and Honey the items that we will have available at the auction range to fit wherever your heart may lie. To help you get excited about the Harvest Luncheon, I wanted to spotlight just a few of these items we have so far. 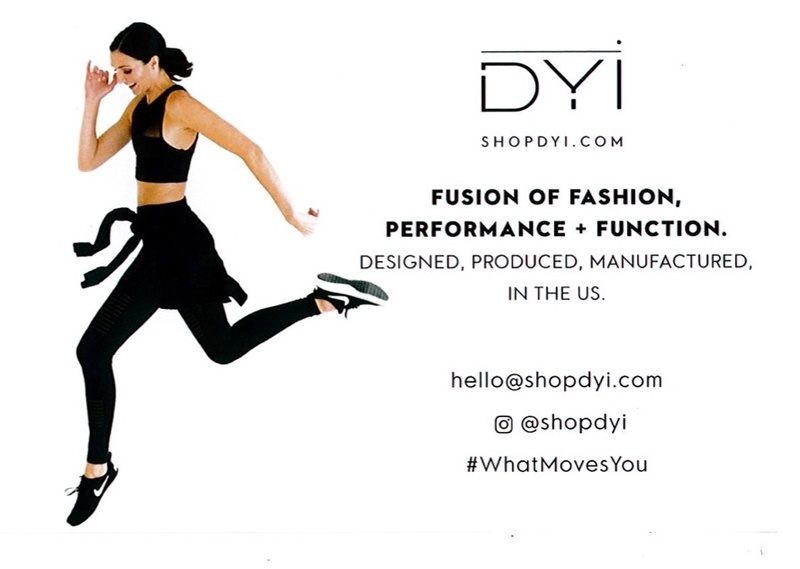 One item I am particularly excited about is a $100 gift card to Houston based online store, DYI: Define Your Inspiration Yoga. This is a 100% Houston based company that makes super cute yoga and athletic apparel for women. This place is seriously so cool, they make and manufacture every item right here in Houston! On top of that I’ve seen samples from a few of their clothing lines and these clothes are so cute I wanted to buy something right then and there. Another exciting package I am putting together for you is the “Couples who cook together” package. This package includes two certificates to take cooking classes at Houston’s very own Well Done Cooking Classes. Featured on both TLC and The Food Network Well Done cooking classes offers a variety of different cooking classes whether you want to learn the basics, develop a new technique with more difficult cooking, or try something fun and interesting. I’m paring these certificates with a set of adorable Mr. and Mrs. Aprons from Houston-based Etsy store Shut the Front Door LLC. 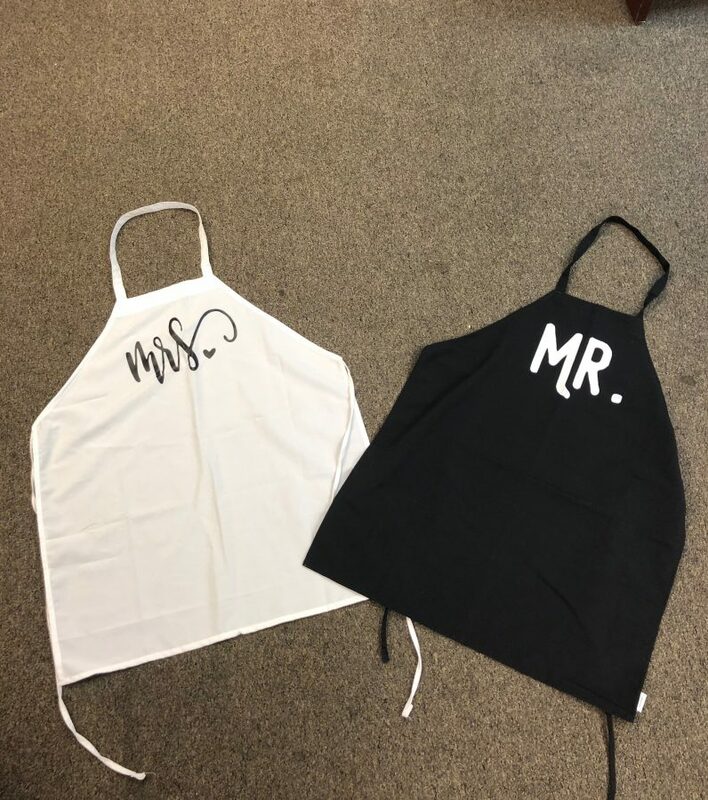 These precious aprons add a charming touch to any time spent cooking together. These are just a small part of the exciting things we have for the auction so far, there are many more awesome items that you can bid on in the auction. Check back here for new updates on what these items are and to get excited about this year’s Harvest Luncheon.